– Natural adhesive area => lick and stick! The filters are packed in 120 pieces in a bag with resealable zip closure. The filters can also be removed individually via the practical dispenser hole. 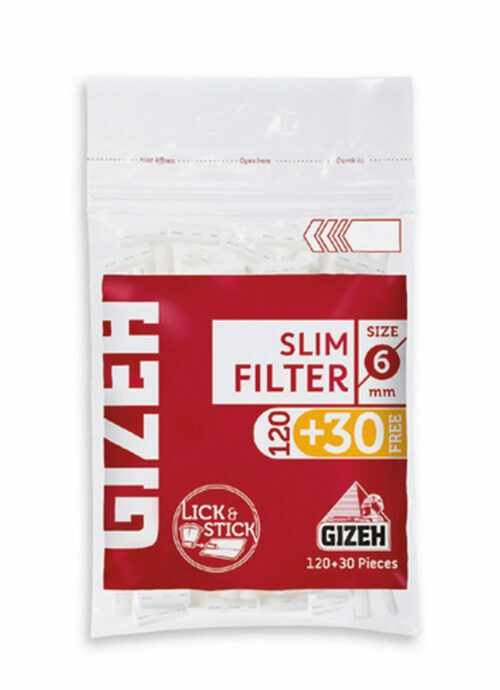 The GIZEH Slim Filters are twist in filters with a diameter of 6 mm. To facilitate rolling, the filters have an adhesive surface that is stamped with food colouring.